I had never taken a genealogy DNA class before. Genealogy Grandma (my mom), and most of my family had taken an array of the popular tests being offered today. While I found their results interesting, the DNA testing never caught hold of me to the degree that I would take one, too. Until I took this class— Finding Hidden Ancestors Using DNA at the California African-American Genealogical Society 2016 Conference. I was aware that African-Americans can show a mixture of African, European, and Native American genes. However I learned the differences that tests can offer—which are 1) Autosomal, 2) Y-DNA and 3) mtDNA results. I learned that DNA testing can, in a sense, bring to life ancestors hidden in the murky past. For African-Americans in particular, genealogical DNA can help to break down “brick wall” barriers we often encounter in our research due to slavery. DNA can help us find ancestors we could easily miss or who are not found in census records. Many times, they are unnamed and unknown. Autosomal tests (namely, Ancestry.com) can reveal up to 30 generations. These are great if one wants a general overview of their ancestry and ethnic group mix. Y-DNA testing is done through male relatives and can trace down the patrilineal line back to geographic regions of origin. The mtDNA tests are mitochondrial and trace the straight female line back to geographic origins. For African-Americans, these are ideal for tracing back to tribes and African countries. AfricanAncestry.com was highly recommended for those type of searches. Since my mom has taken an mtDNA test before, I happen to know our African tribal affinity group, which is Bidyogo/Bijougot from the Republic of Guinea-Bissau. The Y-DNA my brother was able to provide and through my father’s line we trace back to Blackheath, South Africa. Beyond getting just the results, my family has made contact with some of the DNA matches the testing companies provide. But, the lecturers taught that there is so much more to genetic DNA than that. ...and pinpoint the exact towns and villages of their ancestors—I knew that I wanted to take the research we have, further. I want to see how far back we can go in my family tree. 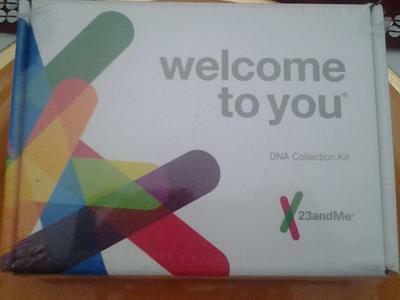 So, I have taken the plunge…I did the 23andMe test and sent it off to the lab—I will get my results sometime in May 2016. --in other words, how my family ended up in the regions and towns that I know of today. If you would like to join me in the journey of tracking and researching your genetic DNA, you are welcome to contact me, and share your stories of what you find! Let me know your comments or questions! If you already have your results, or when they come in—it is important to join a DNA Interest group in your area. There are genealogical societies in most major cities. As soon as my results come in, I will be participating in a big genealogical summit in Southern California. On the schedule is a day is dedicated to DNA research, and I am very excited to say the least! Keep checking back for details of my journey. Also sign-up for our newsletter in the right column of this page, so that I can keep you up-to-date on classes and other important info. Thank you for reading! I appreciate your comment. Join in and write your own page! It's easy to do. How? Simply click here to return to Your Best Genealogy Discoveries.